Can you get Disability for Liver Cancer? An individual who has been diagnosed with liver disease is very likely to be eligible for Social Security Disability Insurance. If you have Liver Cancer you may qualify for disability benefits. Liver cancer is one of the most deadly forms of cancer. Only 17% of people who receive a liver cancer diagnoses are alive after 5 years. If the cancer spreads beyond the surrounding tissue, the survival rate drops to 3%. There are several types of liver cancer, but they are all defined by malignant tumors in the liver. The liver plays an essential role in providing the body with the nutrients it needs. The liver also filters toxins from the blood. Most of the symptoms produced by liver cancer are a result of the liver not filtering out toxins properly. The symptoms of liver cancer are often confused for the symptoms of more common liver diseases. When the liver stops functioning properly it produces a pattern of conditions that doctors can easily recognize. Jaundiced skin, dark urine, itchiness, loss of appetite, and nausea are all red flags that the liver has been damaged. However, distinguishing the cause of the damage usually requires additional testing. Blood testing, MRI scans, and tissue testing can help determine whether the liver damage is caused by cancer. Contact a Social Security disability attorney at 512-454-4000 for a free consultation and see if you can get disability benefits for Liver Cancer. If you have been denied disability don’t give up! 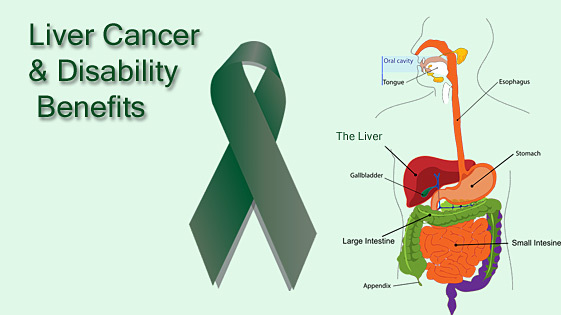 Liver cancer is highly correlated with other liver diseases. Hepatitis and fatty liver disease are tied to higher rates of liver cancer. Eighty percent of people who have been diagnosed with liver cancer have also been diagnosed with cirrhosis of the liver. The liver can be about 60% destroyed before the patient will exhibit symptoms. If a significant portion of the liver is destroyed from cirrhosis, then it becomes more dangerous to remove part of liver to get rid of cancerous growth. Unhealthy alcohol and food habits are tied to an increased risk of fatty liver disease and cirrhosis. Doctors recommend patients with liver cancer live healthy lifestyles to improve liver function generally. Liver cancer qualifies for a special program called “Compassionate Allowances” which the Social Security Administration established to expedite particularly severe disease claims. Compassionate allowances are for diseases that are obviously disabling and clearly diagnosed. The Social Security Administration will process these claims faster and it often takes weeks rather than months to get benefits. Additionally, many employers offer Long Term Disability insurance. Long Term Disability is private insurance for workers who become too injured or ill to work. It can be very difficult to win and maintain long term disability benefits. If you have applied for Social Security or Long Term Disability benefits and been denied, you can appeal your case. Social Security denies roughly two-thirds of initial applications and insurance companies are notorious for denying legitimate claims. If you have been denied, having an experienced attorney on your side can help you win your claim. The attorneys at Bemis, Roach & Reed focus their practice on winning benefits for people who have been denied by the Social Security Administration and insurance companies. We service central Texas including Tarrant county, Williamson county, Travis County, and Harris county. 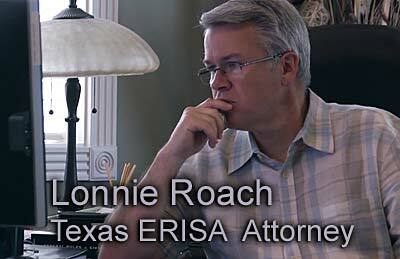 Contact the attorneys at Bemis, Roach and Reed today for a free consultation. Call 512-454-4000 and get help NOW.